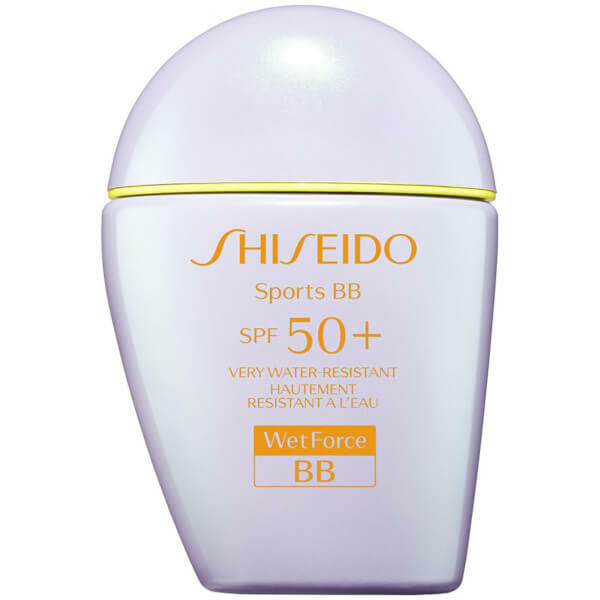 Perfect and protect your skin all at once with Shiseido Suncare Sports BB Cream SPF 50+, a lightweight sunscreen that bridges the gap between makeup and high protection suncare. Delivering expert sun protection with a subtle tint, the dewy, comfortable sunscreen blends effortlessly onto skin; it camouflages the look of uneven skin tone to promote a naturally flawless canvas, whilst shielding against harmful UV rays. Utilising a host of intelligent technologies, it harnesses the power of WetForce Technology, which strengthens the formula's sun protective properties on contact with water or perspiration*, and SuperVeil-UV 360 Technology, which helps reduce the appearance of photo-ageing. The powerful formula imparts a long-lasting, perfecting and protective veil on skin, and its Amino Acid Complex ensures skin maintains moisture to help prevent damage. Very water-resistant (80 minutes). 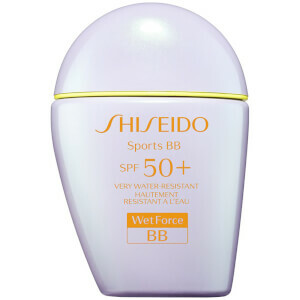 *To activate WetForce Technology, expose the applied area to water or perspiration for 30 minutes. Recommended by the Skin Cancer Foundation for active use. Pour a small amount on your finger, dot onto the cheeks, and quickly smooth over the skin, working from the centre of the face outward. Avoid direct contact with eyes. If contact occurs, rinse eyes thoroughly with cold or lukewarm water.